Gary Logan is the Associate Professor of Speech and Dialects, and was formerly the director of the Shakespeare Theatre Company’s Academy for Classical Acting at The George Washington University in Washington, D.C., where he also taught Ear-Training and Acting: Shakespeare. He is the author of the highly acclaimed The Eloquent Shakespeare: A Pronouncing Dictionary for the Complete Dramatic Works, with Notes to Untie the Modern Tongue (University of Chicago Press), and is the recipient of a Tyrone Guthrie Award. Logan has worked as a voice, text, and dialect coach on over 140 professional productions, with companies such as the Royal Shakespeare Company, the Stratford Festival of Canada, the Shakespeare Theatre, Folger Theatre, Studio Theatre, Signature Theatre, Everyman Theatre, Ford’s Theatre, Woolly Mammoth, the Denver Center, the Kennedy Center, Chautauqua Theatre, and many more. Frequently invited to be a Visiting Guest Artist to share his expertise in Phonetics, Shakespeare’s Language, and Dialects, he has taught at the University of Hawai’i, Manoa, the United States Air Force Academy in Colorado Springs, the Royal Scottish Academy of Music and Drama, Glasgow, Scotland, the Stratford Festival of Canada’s Birmingham Conservatory, Dartmouth College, and the Chautauqua Theatre Company Conservatory, just to name a few. Logan has held permanent and adjunct positions at the Academy for Classical Acting, The George Washington University, the University of Maryland, the National Theatre Conservatory, where he was mentored by Tony Church, founding member of the RSC, the University of Denver, and the University of Colorado, Boulder. 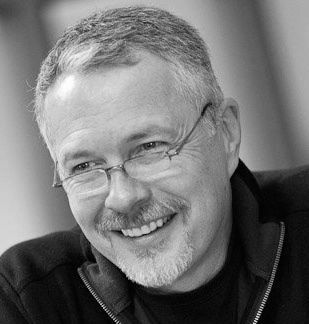 Logan has directed over 40 plays, for professional theatres and for MFA programs, and has acted in scores of plays at the American Conservatory Theater, San Francisco, the Missouri Repertory Theatre, Kansas City, the Denver Center Theatre, Denver, and many others. Logan was on the Board of Advisors for the National Center for Voice and Speech, and has been a senior faculty member of Canada’s annual National Voice Intensive for more than twenty years. He holds an MFA from ACT, where his teachers included Bill Ball, Edith Skinner, Yat Malmgren, Allen Fletcher, and Catherine Fitzmaurice. Logan has been in or produced over 800 voice-overs, and has had poetry recently published in an anthology.